The government of Vietnam has been encouraging the considerable economic growth of the nation with business-friendly strategies, especially the industrial location in new Industrial Zones (IZ) together with the development of urban infrastructure and stabilisation of power supply. This happens for understandable reasons, because an efficient infrastructure - definitely the basis of sustainable modernisation - does not really exist in many parts of Vietnam. The idea of an economical and considerate exploitation of land by means of instruments, which are able to limit the excessive land consumption, can only be observed sporadically. But limiting land consumption measures would be of great importance especially against the background of high population density (263 inhabitants/km² [comparable to Germany]) and the commercial relevance of the agricultural sector (about 20 % of GDP, roughly 65 % of labour). Due to the relocation of enterprises into Industrial Zones, in many towns open areas are available for a new development. But the reality shows that there are no real planning strategies for the re-use of these land, which consider the endogenous potentials and also possible contaminations of soil and (ground)water. Instead of that destructive speculation dominates the local policy. Discussions with environmental and planning authorities show that there is a huge demand for the development of planning strategies and conceptions, which allow a stewardship of soil resources as well as a requirement-oriented and a safe reuse of open areas. But there is a lack of know-how and a lack of experiences. So the project “EICHNAM” has the intention to develop the scientific fundament for a sustainable reuse of formerly industrial used land. 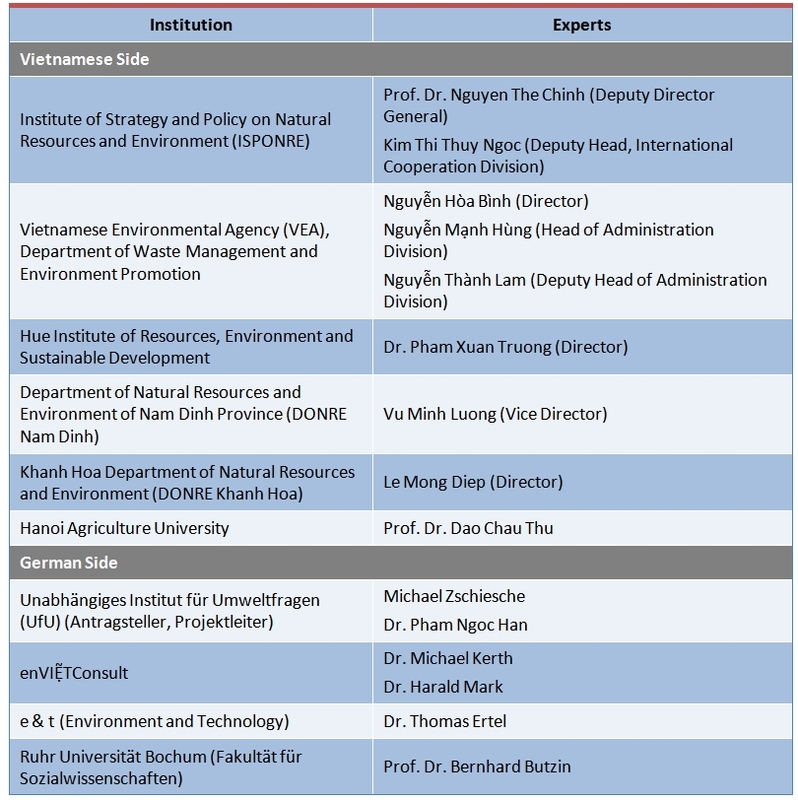 The definition project, which has already started, implies the determination of suitable sample-areas and a team of experts on the Vietnamese and German side. At that time sample-areas in the towns of Nam Dinh, Hue and Nha Trang come into consideration. The former airport in Nha Trang lies in the centre of the city and is not used: One of the sample-areas. 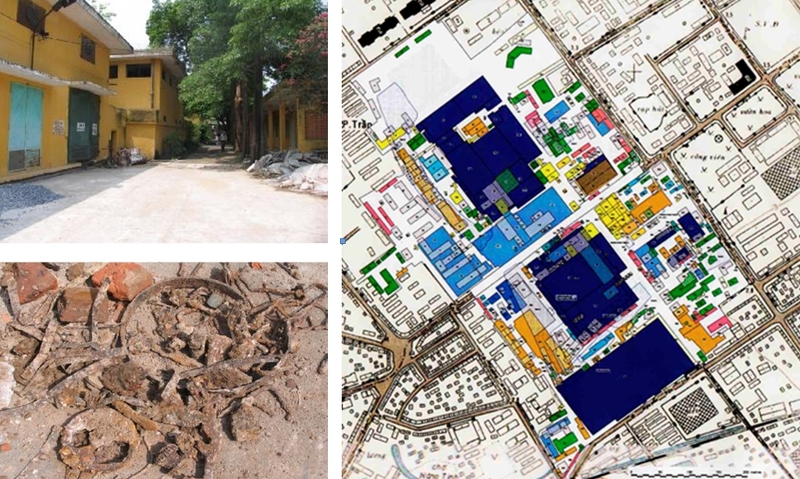 Another sample-area: The textile factory in Nam Dinh (350.000 inhabitants) in the middle of the town with contamination risk map (source: MSP GmbH Bochum, already project area between 2/2005-2/2009).